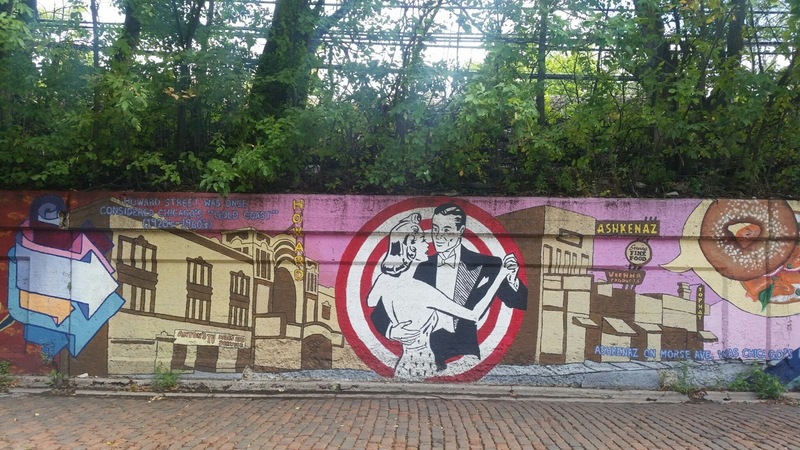 Any day that I get to spend exploring Chicago is a gem, especially if I have Graham as my companion. Last weekend we had the rare ability to go out to breakfast together. 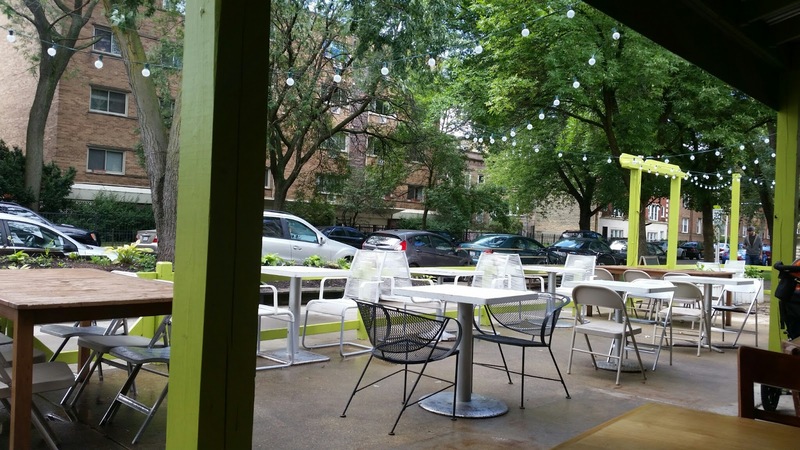 I finally had the chance to try out Heartland Cafe on Glenwood Avenue in our Rogers Park neighborhood. I’ve seen the quaint shop/restaurant on the way to yoga and during the Glenwood Arts Fest. It seemed like a perfect spot to grab breakfast or lunch. Breakfast on the patio was the best choice on that crisp, cool morning after a rainstorm. I chose the Heartland Panhandler scramble with eggs (instead of tofu) and veggie sausage ($9.50). I have never been a fan of sausage, but I was curious. 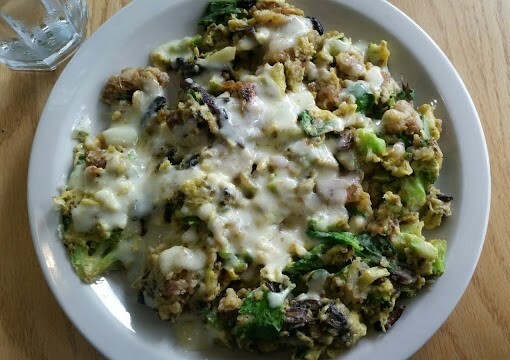 It also had broccoli, cheese, mushrooms, onions and Jack cheese. The menu said potatoes, but if it had spuds they were reduced to mush. The dish was tasty and filling, but the sausage was a little much after a while. Believe it or not, I also ordered a side of potatoes that never came, but by the time I was done with my scramble I didn’t want them anymore anyway — at least that’s what I told myself. Graham went with the chocolate-chip whole-wheat pancakes ($8), continuing the trend of him ordering a sweet breakfast while I stick with savory. He devoured every bite (minus a few bites that I stole). I get the worst case of buyer’s remorse all the time when I try something new at restaurants. I wondered if I should have ordered the dish without the veggie sausage. On my next visit, I may opt for the breakfast pie, described on the menu as “baked eggs and cheese delivered between two golden-brown sheets of puff pastry, served with our savory sauce.” Sold! For dinner, the vegetable gratin is on my list. 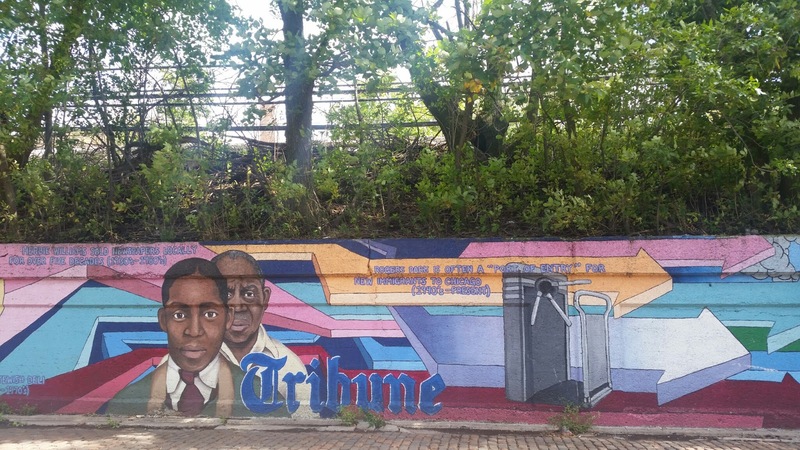 Afterward, we admired the murals along the L train tracks on Glenwood Avenue. They cover both sides of the tracks. 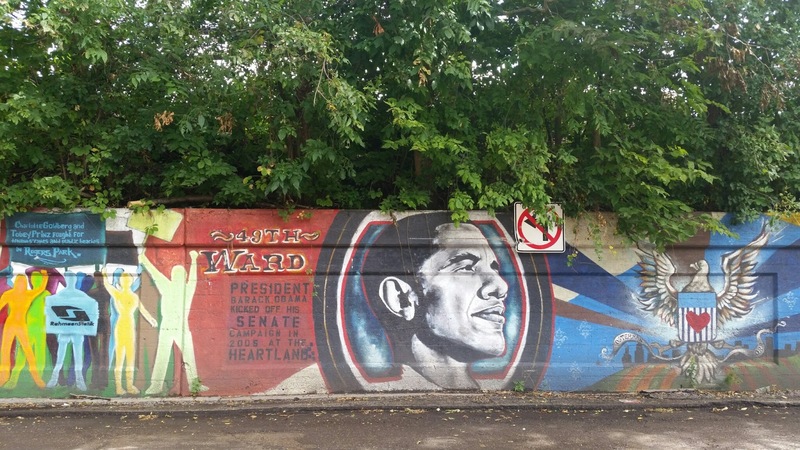 According to this mural, President Barack Obama began his senate campaign at the Heartland. Happy Friday! What breakfast spots are you hitting up this weekend?